Find that touch, spark, and rekindle old connection with your guest at Virginrose Resorts Multipurpose Hall. Create new fond memories and bond with Virginrose Resorts Signature Hall. Let&rsquo;s help you create a remarkable meeting. It seats 230 person in banquet setting and 300 persons in theatre setting. 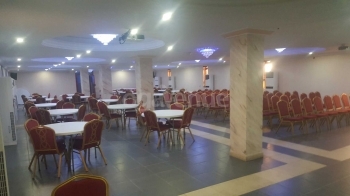 Facilities such as tables, chairs, rest room, writing boards, lighting, projector, sound system, air condition, 24 hour power supply and reliable security is guaranteed. 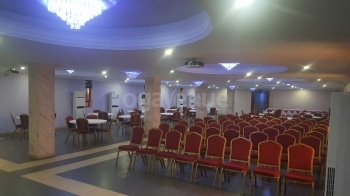 Types of events you can host at Virginrose Resorts Multipurpose Hall are; Marital vows, Seminars, Religious activities, Meetings, Trade shows, Dinners, Press conference, Networking events, Birthdays, Anniversaries amongst others. Frequently Asked Questions for Virginrose Resorts Multipurpose HallQ. Does Virginrose Resorts Multipurpose Hall allow you bring in your food? A: Yes, they do. Q. How do I know if my date is available at Virginrose Resorts Multipurpose Hall? A: Please fill the price form to see check the availability and price of this venue. Q. How much does it cost to book Virginrose Resorts Multipurpose Hall? A: Kindly fill the price form and you will be notified of the cost to book this venue.Q. Is there parking space at Virginrose Resorts Multipurpose Hall? A: Yes, there is. The venue has a fairly large compound which can contain a good number of cars. Q. Is there a discount for booking early or for a mid-week event? 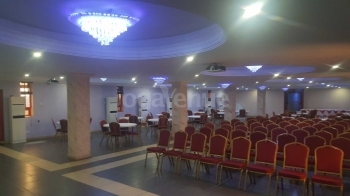 A: OgaVenue offers a range of discounts for different venues and dates. Kindly fill the price form to request a discount price. There are no reviews for Virginrose Resorts Multipurpose Hall yet. Sorry, not available at Virginrose Resorts Multipurpose Hall. Kindly check out other available dates or check out other venues in Victoria Island that match your requirements.